Like many Too Faced's eye shadow palettes, the Sugar Pop Collection comes in tin packaging with the aforementioned macaroon design. It has a very small mirror on the inside, which is probably only good for touch-ups, but it does come with a little instruction booklet with three eye different eye looks using the palette. The palette itself contains nine shadows: Rock Candy, a matte cream; Macaroon, a satin orange with gold micro-glitter; Malted Milk Ball, a shimmery chocolate brown with gold micro-glitter; Strawberry Ice, a iridescent pale lavender pink; Sugared Violet, a shimmery blue violet; Blackberry, a matte plum; Peach Fizz, a matte pale peach with gold micro-glitter; Bubblegum, a shimmery bright pink with gold micro-glitter; and Blue Raspberry, a satin teal. Three of the shadows, Rock Candy, Strawberry Ice, and Peach Fizz, are larger than the other six shadows -- they contain 2 grams of product, while the others contain 0.9 grams. Just looking at the shades in the palette, you can probably tell that it's perfect for spring and summer when most folks like to work a little more color into their eye looks. But I think there are enough options to allow for both subdued and bold looks. I find the shadow formulas for these to be pretty good --they're all decently pigmented and easy to apply and blend. A couple, like Sugared Violet, are a little sheer, but they're easy to build up. My favorite shadows are the purple-y tones in the third row -- I just think purple shadows look great on everyone and they're colorful without looking over the top. In particular, Strawberry Ice is just such a gorgeous lid shade -- so lovely and brightening. I also love Macaroon because it makes my blue eyes pop big time. Honestly, I've really liked every look that I've come up with from this palette. In fact, the only shade that I haven't used yet is Bubblegum, but that's probably because I never know what to do with bright pink shadows. All in all, I think is a nice little palette to have for spring and summer. 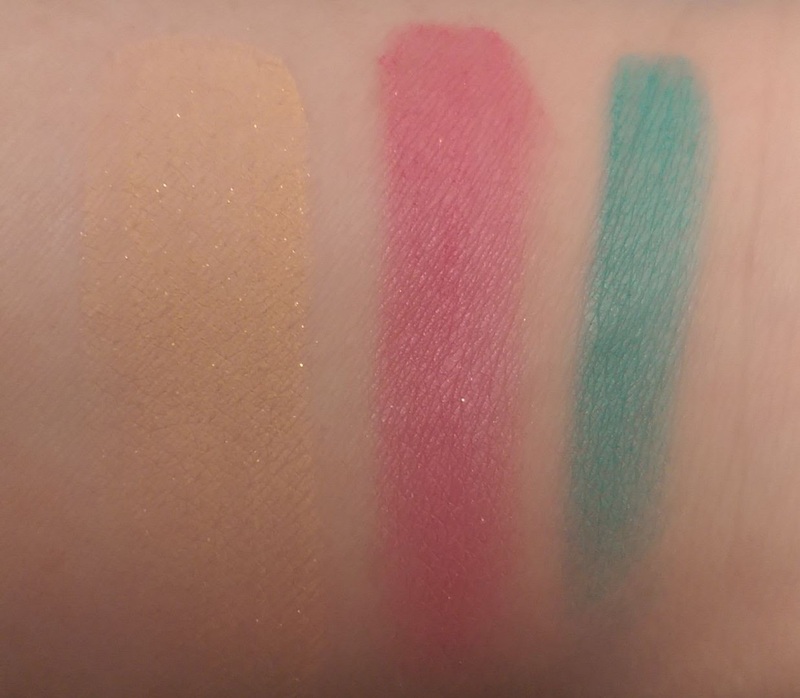 I'm not sure it's a must-have, especially if you're not a fan of brighter, more colorful shadows, but it's a nice pick if you want to spice up your makeup for the warmer weather. The palette is $36, and is available at Ulta, Sephora, and Too Faced. Have you tried the Too Faced Sugar Pop Eye Shadow Collection? What's your favorite palette for spring and summer? The macaroon theme also really matches the previous chocolate palettes. Which makes me wonder... does this palette smell sweetly too?